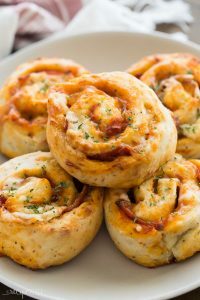 Easy Pizza Pinwheels Recipe - Freezer Friendly! 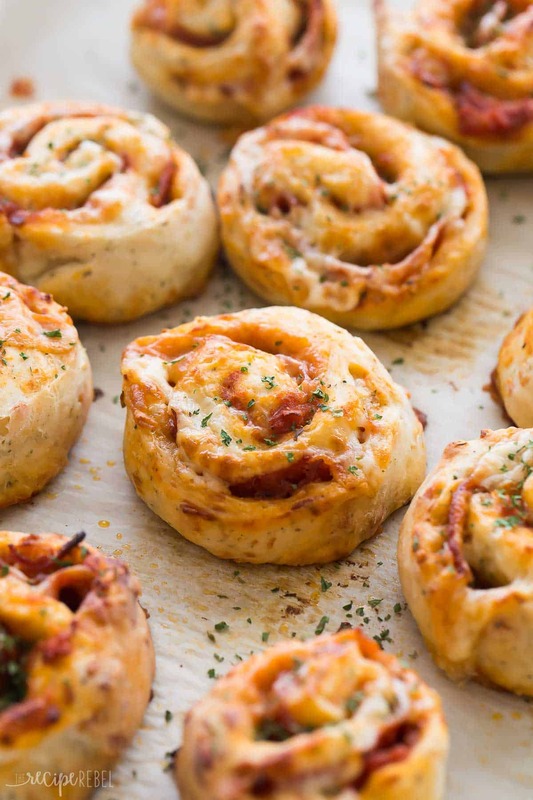 These Easy Pizza Pinwheels are so quick to make and easy to customize! They’re freezer friendly and perfect for lunches, an appetizer or game day. Excuse me while I jump in here with a non-pumpkin, non-apple, non-cranberry recipe in the midst of all the holiday recipes. My friends from The Slow Roasted Italian just came out with their new (first!) 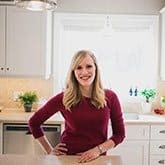 cookbook, The Simple Kitchen, and I just have to share. 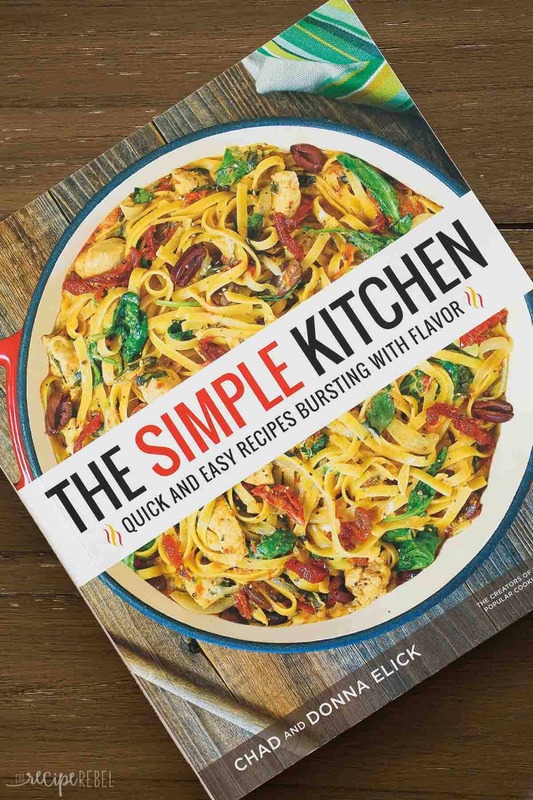 You guys, if you are like me and love easy, flavorful, home-cooked meals then you will love this book just as much as I do. 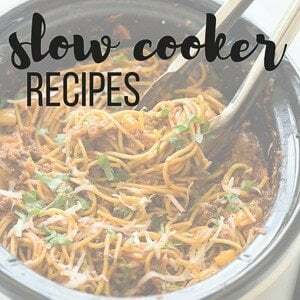 It’s full of one pot dinners, slow cooker recipes, easy desserts, homemade spice mixes and sauces, and all things comfort food. Basically, it completes me. 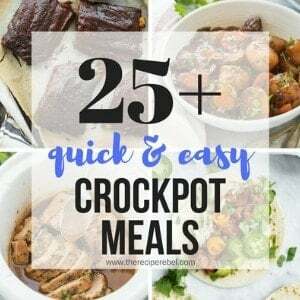 I made a quick batch of 12 for lunch one day when it was just the 2 year old and myself at home, and we polished off more than half of them! Our oldest had a taste once she got home and said she’d be really sad if there weren’t some left for her lunches the next week, so another batch was definitely in order. I just want to thank Donna and Chad for coming up with the brilliant idea to add freshly grated Parmesan cheese to pizza dough, because it is life.changing. Seriously SO good and no rise time, which means you can have these on the table in no time. These Easy Pizza Pinwheels are so quick to make and easy to customize! They're freezer friendly and perfect for lunches, an appetizer or game day. In a stand mixer fitted with a dough hook, combine yeast, sugar, and warm water. Stir to dissolve the yeast. Let rest until mixture becomes foamy, about 3 minutes. Add the oil, 3 cups of flour, salt, garlic powder, seasoning and Parmesan cheese to the bowl. Mix on medium speed until dough comes together in one ball, and then knead for another 3 minutes on medium speed. The dough should be just a little sticky. Add the remaining flour, 1 tablespoon at a time, as needed. The sticky dough is important to help the crust get a little lift as it cooks! Lightly flour your countertop. Place the ball of dough on the counter, cover with a clean dish towel and let rest 5 minutes. Preheat oven to 350 degrees F and brush a baking sheet with some of the melted better. Reserve remaining butter. Roll the dough out to a 12x18" rectangle. Spread 1/2-1 cup of marinara sauce, leaving a 1" border around the edge. Sprinkle the cheese over the sauce and cover with pepperoni. Starting at the long edge, tightly roll up the dough, pinching the pepperoni slices into the roll if they try to escape as you go. Use the last 1" of clean dough to pinch and seal the dough. Cut evenly into 12 slices. Arrange the pinwheels cut side up on the baking sheet and spread them out so they aren't touching. Bake for 20 minutes or until golden brown and cooked through. Meanwhile, stir together the remaining butter, parsley and salt in a small bowl. Brush the tops and sides of the baked pinwheels with butter mixture and serve with additional marinara or Alfredo sauce, if desired. TO FREEZE: Cool pinwheels to room temperature and store in a large freezer bag. When ready to eat, thaw and bake at 350 degrees F for 10 minutes or until warmed through. 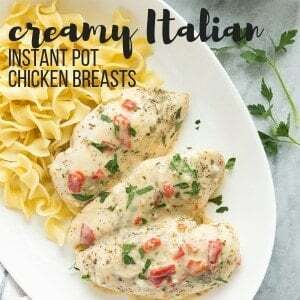 Hi, will be Trying this recipe for my sons birthday. I want to make it ahead so I can save time. For the freezing part of the recipe do you bake them or I can keep them unbake and then bake them the date of the party what do you think? I think you can likely do either, but I usually bake them first and warm up in a low oven, maybe 200-250. I hope that helps!